Drive Belt. Replaces Grasshopper 381914 1/2" x 36". Fits P.T.O. Belt models 720, 721, 721D & 725. "A" section, Cog V-belt, raw edge and Dacron cord construction. Hydro Belt Replaces Grasshopper 382034. 5/8" x 60-1/2". Fits Kohler mid mount mowers models 218, 220, 223, 225 & 227. Raw edge, Aramid cord construction. Belt Replaces Grasshopper 382035. 5/8" x 65-3/4". Fits 61" mid mount deck, diesel engine. Deck Belt Replaces Grasshopper 382080. 5/8" x 112-1/2". Fits M148 deck (2003 & earlier). Wrapped Aramid cord construction. Deck Belt Replaces Grasshopper 382082. 5/8" x 120-1/2". Fits M152 deck. Wrapped Aramid cord construction. Belts for Grasshopper this Deck Belt Replaces Grasshopper 382034. 5/8" x 135-1/2". Fits 3452 & 9852. - Wrapped Aramid cord construction. Belts for Grasshopper this Belt Replaces Grasshopper 382085. 5/8" x 137-1/2". Fits 61" mid mount deck, diesel engine. Wrapped molded, Aramid cord construction, clutching cover. Mule Drive Belt Replaces Grasshopper 382086. - 5/8" x 110-1/2". - Fits 428D diesel. - Wrapped Aramid cord construction. Deck Belt Replaces Grasshopper 382090. - 5/8" x 141". - Fits 3461 & 9861. - Wrapped Aramid cord construction. 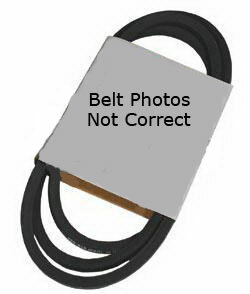 Mule Drive Belt. - Replaces Grasshopper 382095. - 5/8" x 147-1/2". Fits 61" mid mount deck, diesel engine. - Wrapped molded, Aramid cord construction, clutching cover. Mule Drive Belt Replaces Grasshopper 382097. - 5/8" x 153-1/2". - Fits 428 diesel. - Wrapped Aramid cord construction. Mule Drive Belt Replaces Grasshopper 382099. - 5/8" x 163". Fits 428D diesel. - Wrapped Aramid cord construction. Mule Drive Belt Replaces Grasshopper 382110. - 5/8" x 150". Fits 332D diesel. - Wrapped Aramid cord construction. Mule Drive Belt Replaces Grasshopper 382111. - 5/8" x 151-1/2". - Fits 329 models. - Wrapped Aramid cord construction.